Demi Lovato was born in Dallas, Texas. Lovato has two sisters: Dallas, who is also an actress and singer and is five years older than Demi, and Madison, who is ten years younger than Demi. Lovato's mom, Dianna Lovato, was a Dallas Cowboys Cheerleaders and country recording artist. She is currently home schooled by a tutor due to her career. Lovato won many talent competitions in Texas, and she also grew up performing for venues, such as the Eismann Center and the Dallas Cowboys Thanksgiving Day Halftime Show. She started acting at the age of six, when she landed her first series regular role as Angela on Barney & Friends. As time went on Lovato pursued her singing and instrumental career, and she guest starred on Prison Break, Split Ends (pilot) and Just Jordan. In January 2007 she landed a series regular role as Charlotte Adams on the Disney Channel original short series As the Bell Rings, which premiered on August 26, 2007 during Disney's Back-to-School special night. She will soon be starring in a new Disney Channel Original Series called Welcome to Mollywood that begins production in September 2008 Lovato also stars in the Disney Channel Original Movie Camp Rock, which is set to premiere on June 20, 2008. She is a singer and songwriter as well as a musician, playing guitar and piano since the age of eleven. Her good friends, the Jonas Brothers, have also written songs along with Lovato for her debut album, according to USA Today. 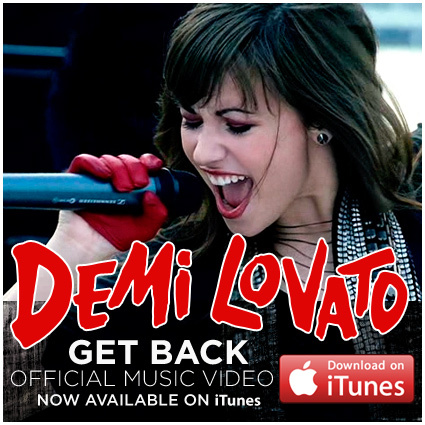 Lovato covered the Academy Award nominated song "That's How You Know" from Enchanted on DisneyMania 6. Lovato will be opening for the Jonas Brothers on their summer 2008 Burning Up Tour. Lovato also attended the Disney Channel Games 2008 in spring; it is set to air in the summer of 2008 on Disney Channel. She is currently in Puerto Rico filming a new Disney Channel Original Movie titled Princess Protection Program with Selena Gomez and recording her debut CD in Miami, Florida. The Jonas Brothers have helped her to write 11 songs for the album. Demi is best friends with fellow Barney & Friends actress Selena Gomez. The two have created a YouTube account together, and since January 2008, they have been making and uploading their own videos. When asked a question of how long the pair have been friends, Demi answered "When I asked her to sit on my jacket and draw with crayons with me! (at the Barney auditions)". Jennifer Stone, another Disney star, and former Barney co-star, is also one of Lovato's and Gomez's close friends. Along with close friends, such as Selena Gomez and the Jonas Brothers, Demi wears a purity ring (not really confirmed, she calls it a necklace), but instead of being a ring, she wears a necklace that says "True Love Waits". Lovato and Gomez are also still friends with childhood friend, Melissa Lee. Here’s Lovato in a picture flashing her huge smile. Demi looks like she’s hanging out in a pretty shady part of town in this pic. Demi Lovato in a nice profile shot. She certainly doesn’t have a “bad side”. Here’s a photo of Demi Lovato showing some respect for those who came before her, wearing a Pat Benatar shirt while performing. Demi is also apparently a New Kids fan. Playing into the whole Disney theme, Demi Lovato makes for a cute princess. Here’s a picture of Lovato with her employer, Ms. Minnie Mouse. Demi is reportedly close friends with the Jonas Brothers. Demi must be big into self portraits. Here’s a candid shot of her in what looks like a car. 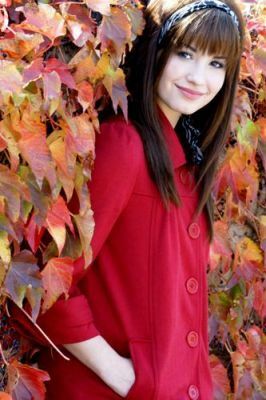 Demi Lovato pictured at a Camp Rock promotion. Demi Lovato, like virtually every Disney starlet, has been linked with various Jonas Brothers romantically, but she’s actually dating actor Nick Braun. Lovato must really like this black hat. You can find tons of pics of her wearing it in an image search. Demi Lovato showing her patriotic side with an Army t-shirt. Demi Lovato in an ad for her hit Disney show “Camp Rock”. WEBLOJAM has changed the default image.